Jenova Chen says the new Kinect is Xbox One's best idea. Jenova Chen, lead developer of the smash indie hit Journey is excited by the possibilities Microsoft's Kinect 2.0 will offer game developers like himself, who look for new and unique ways of telling stories and playing games. Talking to Forbes, he said "I've been looking for an input device that captures the players facial expressions and motions. 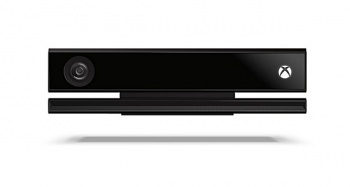 The Kinect 2 looks like it is finally there." Chen continued to say that modern games are bound to communicate with with only 16 buttons and two analogue sticks (it's apparent Chen is not a PC gamer...) and that "That's why between the players what we are doing is like beating on each other or shooting each other." Chen thinks that with Kinect 2, having games that can "see" facial expression or nervous twitches, he can ultimately build a better experience. "Once you can put your facial and body language on top of voice and context, I can see many game being more interesting. Like poker, you see other people and use your skill of deception and calculation. That's useful in real life, more relevant than shooting someone's head off. I'm looking forward to seeing what kind of new game that actually uses more real social skills can be done on the console." The Kinect 2 is considerably more powerful than the original Kinect, and will be included with every new Xbox One. Even Chen was surprised at how good Kinect 2 will be, stating "I honestly didn't expect Kinect 2 to be that much better than Kinect 1."